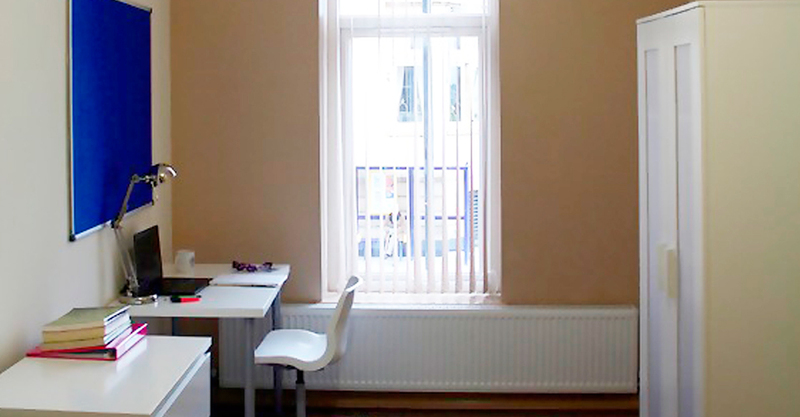 At ICP we recognise the importance of safe and comfortable student accommodation. Our student residences give students the security of knowing they are choosing a safe, clean and secure accommodation that suits the needs of the modern student. 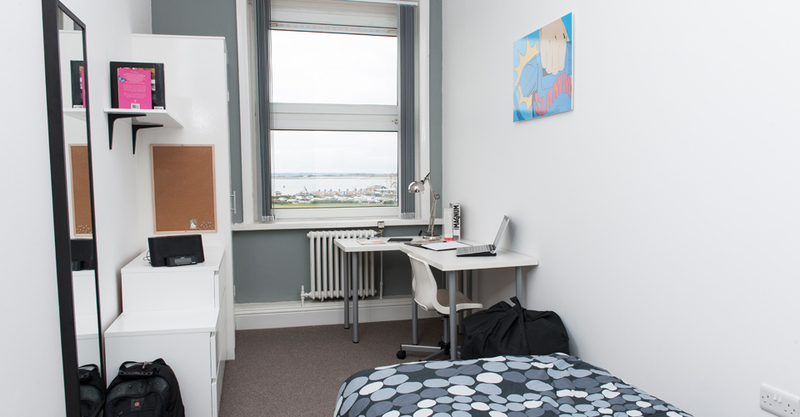 With fantastic reviews from current ICP students, we are proud to offer students their own Halls of Residence facing the seafront in Southsea, just 10-15 minutes' walk from ICP. Grosvenor Residence offers a selection of modern rooms, including a studio penthouse, overlooking Southsea Common offering some of the best views in Portsmouth. Students can move in from Monday 24th September, 2018 and must vacate the property by Friday 24th August, 2019. All rooms are fully furnished, secure and include access to modern kitchen facilities and communal areas with flat-screen TVs. 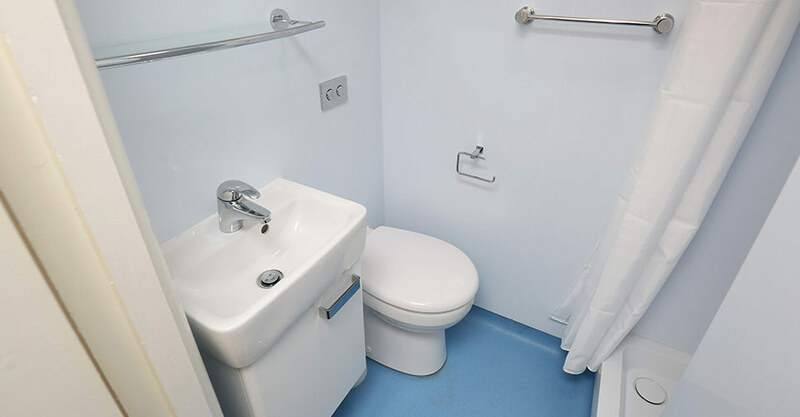 *Please note that the laundry facilities are a pay-as-you go facility. The current charge for a washing machine is £4.00 and the dryer is £1.00. Please note that at this time, personal post is not allowed to be sent to the Halls of Residence or the ICP office. There are local mail box companies that can assist with setting up a service for you, one is located opposite ICP. There is a small charge for this service. Please note that any post received at the Halls or at ICP will be automatically returned. Prices are based on a contract period of 48 weeks. An initial payment (refundable deposit) of £1,000 is required to reserve your room with the remaining fees payable by two instalments. The deadline for the first instalment is Sunday, 17th September, 2017 and second instalment is due no later than Sunday, 17th December, 2017. A 2% discount on accommodation fees (excluding refundable deposit) is available to students who pay the balance in full prior to the accommodation fee deadline. 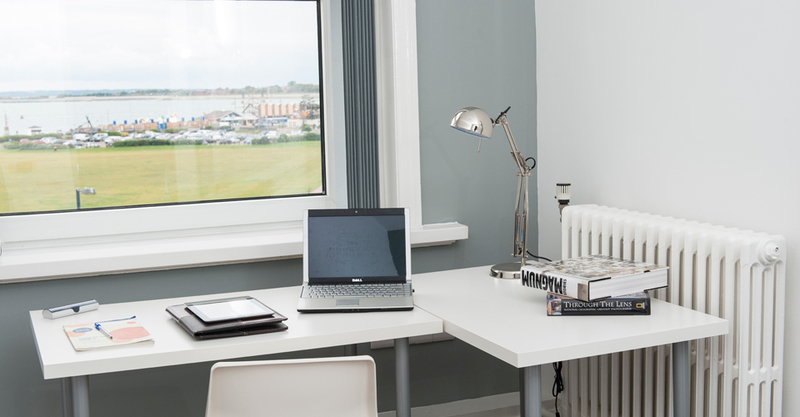 To secure your room, simply email accommodation@icp.port.ac.uk stating your preferred option of room or complete the online booking form here. You will then need to pay a £1,000 deposit in order to confirm your room reservation. Availability is strictly on a first-come first-serve basis, so book early to avoid disappointment. Sandringham Residence is a great budget alternative to Grosvenor Residence for our September students. Sandringham Residence is located in-between both the Grosvenor and Osborne Residences and is part of the ICP Halls community. The building features both a launderette and internal bicycle storage and is situated by the seafront in Southsea, just 10-15 minutes' walk from ICP. 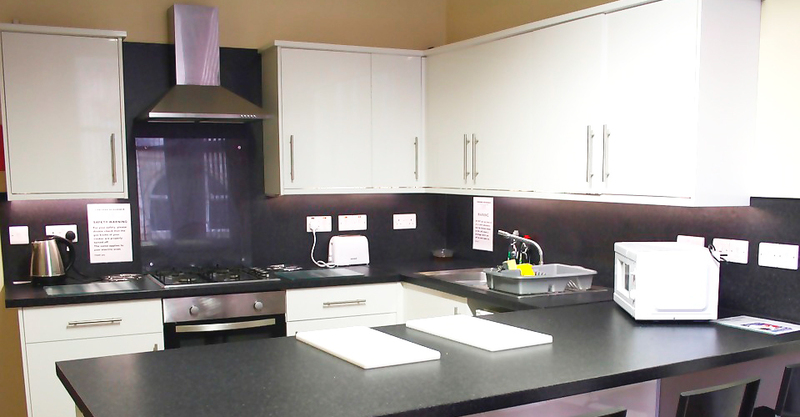 All rooms are fully furnished, secure and include access to modern kitchen facilities and communal areas. *Please note that the laundry facilities are a pay-as-you go facility. The current charge for a washing machine is £4.00 and the dryer (large size) is £3.00. Prices are based on a contract period of 48 weeks. An initial payment (refundable deposit) of £1,000 is required to reserve your room with the remaining fees payable by two instalments. The deadline for the first instalment is Sunday 17th September, 2017 and second instalment is due no later than Wednesday 20th December, 2018. A 2% discount on accommodation fees (excluding refundable deposit) is available to students who pay the balance in full prior to the accommodation fee deadline. ICP are pleased to announce a partnership with Unilife. 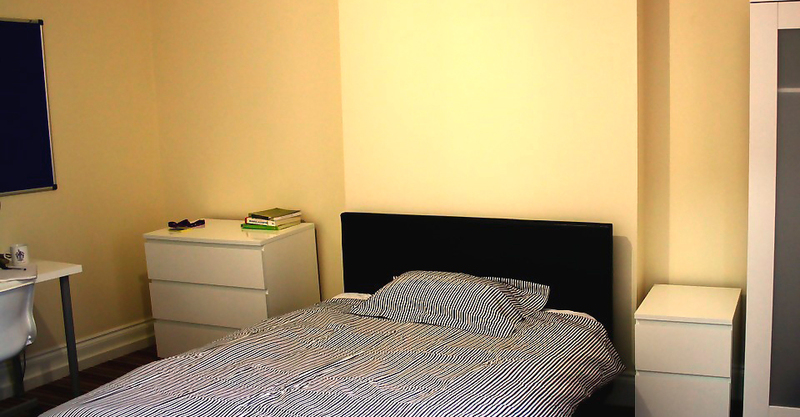 Unilife offers the ultimate student accommodation in the very heart of Portsmouth. 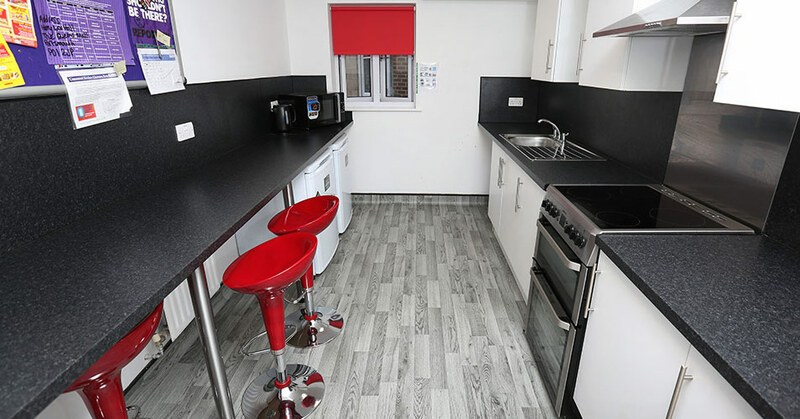 With three buildings to choose from, they offer students a variety of stylish self-contained en-suite studio apartments with prices that include ALL bills, FREE unlimited super high-speed Wi-Fi, 24/7 CCTV security and access to the Unilife gym and social hub. For further information and to experience their new virtual tours please visit www.unilife.co.uk or call +44(0)845 5195 100. We are delighted to offer ICP students Halls of Residence offered specifically for our January intake. Situated right by the seafront in Southsea and only a 10-15 minutes' walk from ICP, Osborne Residence offers modern rooms in a classic style building, with Southsea Common at your doorstep and Southsea shopping centre located less than a minute's walk. Students can move in from Monday 21st January 2019 and must vacate the property by Saturday 21st December, 2019. Prices are based on a contract period of 48 weeks. An initial payment (refundable deposit) of £1,000 is required to reserve your room with the remaining fees payable by two instalments. The deadline for the first instalment is 21st January 2019 and second instalment by 21st April 2019. A 2% discount on accommodation fees (excluding refundable deposit) is available to students who pay the balance in full prior to the accommodation fee deadline. Students can move in from Monday 13th May 2019 and must vacate the property by Saturday 31st August 2019. Prices are based on a contract period of 16 weeks. An initial payment (refundable deposit) of £1,000 is required to reserve your room with the remaining fees payable before moving in on Monday 13th May 2019. 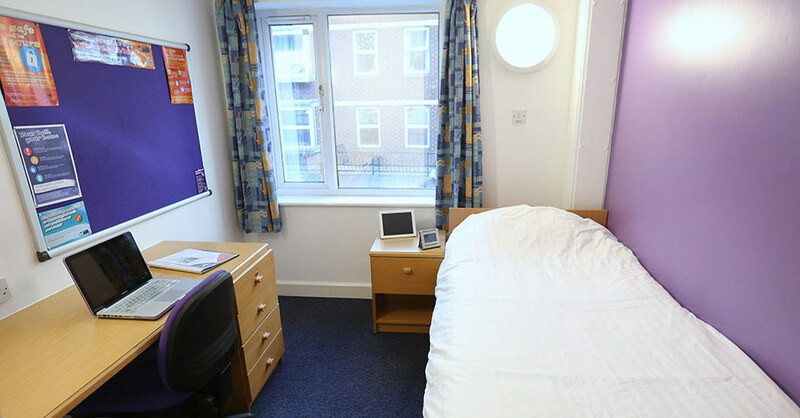 For the fourth year running, ICP will be offering students a semester’s stay in a University of Portsmouth’s Halls of Residence, situated in the Guildhall campus area. Students will be no more than 5 minutes from ICP and will be even closer to the City Centre, for easy and convenient shopping! The duration of the tenancy agreement is June - September. Exact dates for summer 2018 are yet to be confirmed. All rooms are fully furnished, secure and include access to modern kitchen facilities. If you book these halls, you will also receive a kitchen equipment pack and a bedding pack to get you set up and ready in the UK. 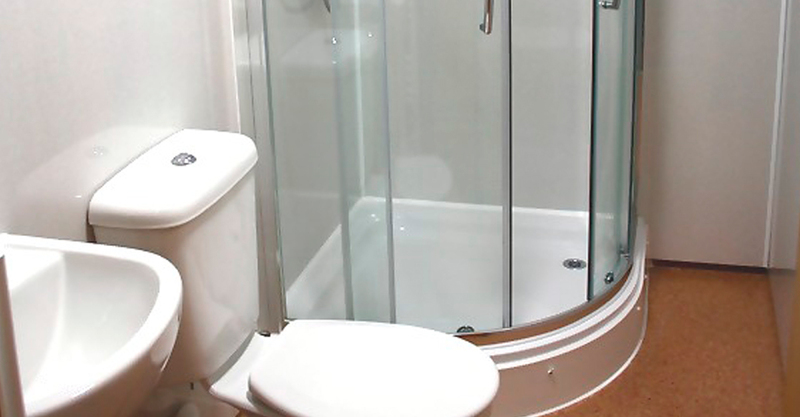 Prices are based on a contract period of 12 weeks, totalling £1,764. Payment in full is required to reserve your room. 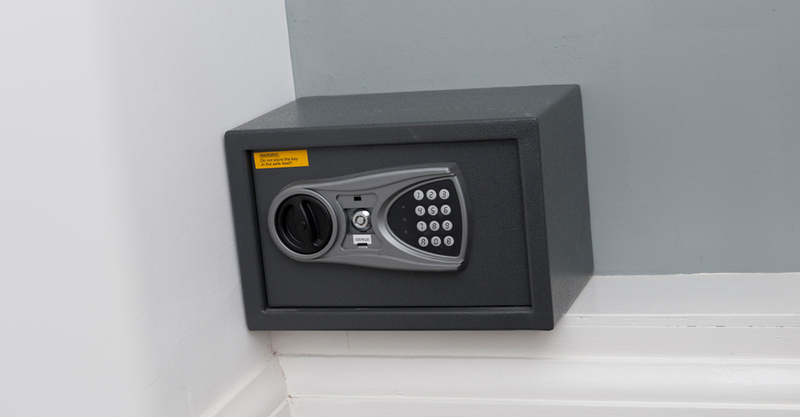 To secure your room, simply email accommodation@icp.port.ac.uk stating your full name and ICP ID number or complete the online booking form here. You will then need to make payment of £1,764. Availability is strictly on a first-come first-serve basis, so book early to avoid disappointment. Typically shared between 3-6 students. 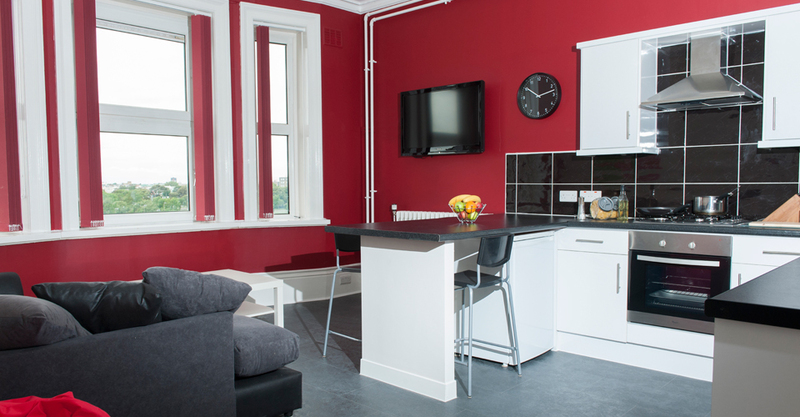 Each room is for sole occupancy, with kitchen and private facilities shared between all students. You should expect to pay between £80-120 per week without bills, which would cost approximately £40 per month. Some properties include utilities bills in the rent. Contracts are usually valid for a whole academic year. Portsmouth offers a good variety of studio accommodation and one bedroom flats for students who prefer more freedom and independence. Rent varies between £160-300 per week depending on the property and location. Contracts are usually valid for a whole academic year. 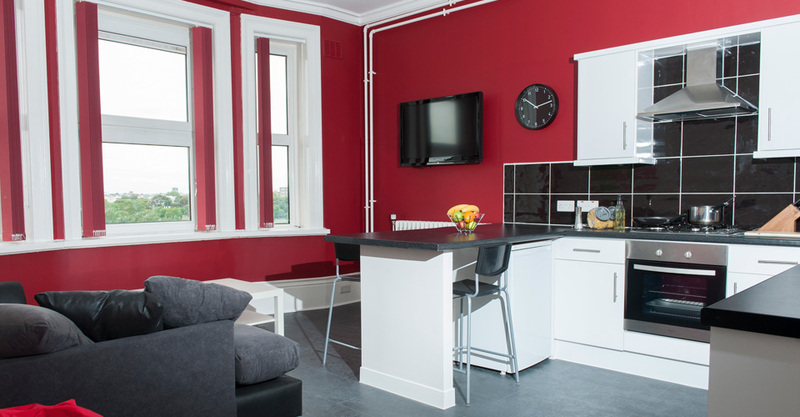 In addition to halls of residence, ICP work with a range of carefully selected local accommodation providers, who are able to provide quality, safe and regulated accommodation to ICP students. To secure your booking for Grosvenor, Sandringham or Osborne Halls of Residences, a £1,000.00 deposit payment is to be made to ICP in accordance with one of the following payment methods. To secure your booking for UoP Halls of Residence offered in June, full payment is to be made in accordance with one of the following payment methods. Any other accommodation bookings are payable direct to the accommodation provider. Council tax is an amount of money that people pay every year for public services such as repairing roads, collecting waste, street lighting etc. Students may be charged council tax depending on their age and length of programme. The amount of council tax varies depending on the valuation of the accommodation in which students stay. Students who are 20 years old or over studying a one-semester foundation or pre-sessional course which is less than 24 weeks. Students who are studying a post-graduate course which is less than 12 weeks. This means evidencing where you are currently living in the United Kingdom. Before you can enrol with us, ICP will need to see this evidence. We hold a copy of this evidence on your file and you will be expected to update us with any changes to where you are living and if your evidence expires during your time with ICP. Is your tenancy an assured short hold tenancy? What does an assured short hold tenancy involve? A property contract (AST) involves a legal agreement between a tenant and a landlord and legally requires both parties to fulfil their obligations to each other. For students this means that once you sign your accommodation contract you will be legally bound by the terms of the contract. So you must ensure you read and are aware of all elements of the contract before you sign. It is your responsibility to ensure that you understand in full, the legal implications of signing, before you agree to the contract. What rights do you have as an assured short hold tenant? You may also have other rights, such as to get your landlord to do repairs or to challenge rent increases. How do you get information about your assured short hold tenancy? What repairs are the landlords' responsibilities? Your landlord must also keep the equipment for the supply of gas, electricity, heating, water and sanitation in good repair. Your landlord may have extra responsibilities for repairs, depending on what your tenancy agreement says. How do I end the assured short hold tenancy? If you have a periodic tenancy (which means that the original fixed-term has ended and your tenancy runs from week to week or month to month), you have to give one month's notice in writing, or longer if you pay your rent less often. The notice should end on the first or last day of the period of a tenancy. Once the notice ends, your tenancy ends and you no longer have any right to live in your home. If you have a fixed-term tenancy (i.e. for one year) you will only be able to give notice during the fixed-term if your tenancy agreement says it is allowed. The length of notice you have to give depends on what your tenancy agreement says. Please note that most student tenancies in the UK are fixed-term tenancies. 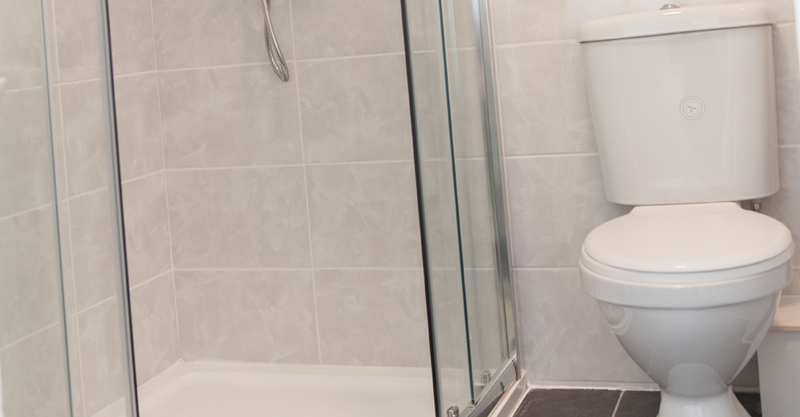 It's possible to leave on the day your tenancy ends without giving any notice, but this is not usually advisable. It is best to give your landlord notice if you can, especially if you have paid a deposit and need it back. How can other people live with me? It is sometimes possible for other people to live with you providing that the owner of the property is made aware and has given you permission to do so. Disclaimer: Whilst ICP have endeavoured to cover most aspects/areas of accommodation provision in the UK within this website and associated materials, the website is meant for guidance only and should not be viewed as containing definitive legal advice. ICP students should make their own enquiries with regard to any property and potential tenancy agreement BEFORE signing with a letting agent, including any legal definitions that they are unsure of. 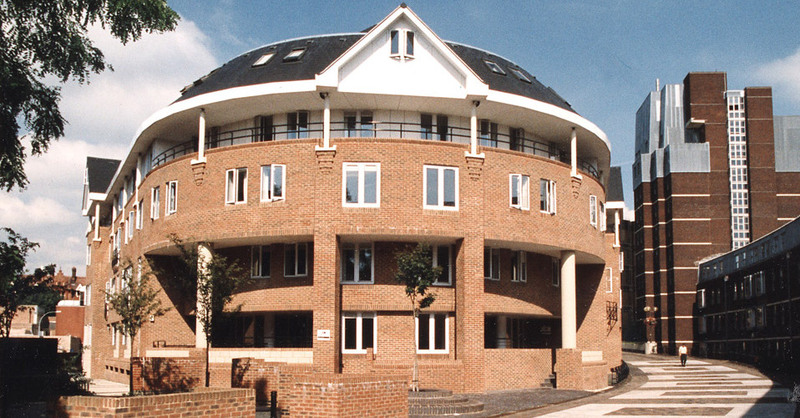 This website and associated materials do not constitute any form of legal advice for accommodation in the UK provided by ICP or any of their Accredited Accommodation Providers named in associated ICP documentation. If you are unsure about any aspect of a legal UK residential tenancy, then you must seek appropriate independent legal advice from an accredited UK legal professional. For information on finding a UK solicitor please see:http://www.lawsociety.org.uk/choosingandusing/findasolicitor.law (other sources available). ICP cannot be held accountable for any loss or damage to person(s), from taking the advice contained herein and will not accept any legal or financial liability for advice given within this website even if it is found to be inaccurate. ICP does not guarantee legal accuracy of information from a UK legal viewpoint, including interpretation of any legal terms contained within this website and associated documents.